Location, Location & Location is what you will find here. Have you been looking for a turn key property that has been updated? Look no further! 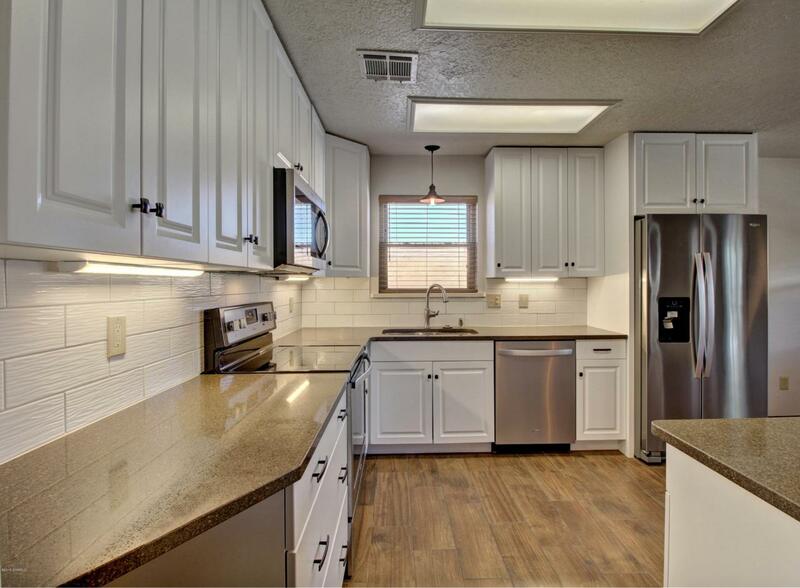 Beautiful home that has had a complete kitchen remodel in the last year with open concept living. There is a breakfast bar with attractive quartz counter tops, stainless steel appliances, floors tiled with wood-like tile that is so poplar now. The kitchen cabinetry has plenty of storage that will not disappoint. Both baths have been updated. Quite a bit of storage both inside the home and in the garage, not to mention the storage shed in the backyard. Many light fixtures have been updated. There is a spacious 2 car garage with a work bench and extra room for tools. RV parking along with front and backyard xeriscape landscaping. Close to NMSU and NMSU golf course, medical facilities, with easy access to I-25 and shopping. Schedule a showing today!! Listing provided courtesy of Elaine Brown of Re/Max Classic Realty: (575) 524-8788. All listing information was provided by Southern New Mexico Multiple Listing Service.